Tributes for Tao Ho, the designer of Hong Kong's emblem and flag, poured in after he passed away on Friday. Ho died at the age of 82 at 9am, said music critic Chow Fan-fu, who confirmed his death on Facebook. 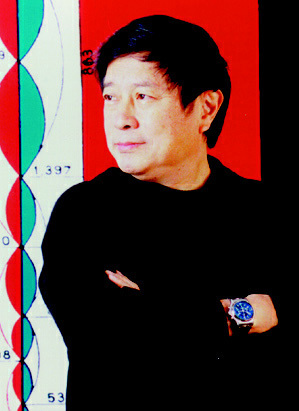 He was remembered for co-founding the Hong Kong Arts Centre, which he designed, and for creating the SAR's flag and emblem in 1992. Born in Shanghai in 1936, he moved to Hong Kong with his family in 1941 and graduated from Pui Ching Middle School in 1956. He returned to Hong Kong in 1964 after studying at the Graduate School of Design at Harvard University, where he obtained a Master of Architecture degree. He established his own designer's firm, and worked as the chief designer at the Hong Kong Arts Centre until 1977. He was also responsible for the renovation of the Sheung Wan Market, and planning the Giant Panda Adventure exhibit at Ocean Park. The World Economic Forum honored Ho with the Crystal Award in 1997 for his contribution in facilitating the cultural exchange between China and the west. Ho suffered a stroke in 2002 while on a business trip in the mainland. He retired after that and rarely appeared at public events. Louis Yu Kwok-lit, the executive director of Performing Arts of the West Kowloon Cultural District Authority, who used to work with Ho at the Hong Kong Arts Centre, told reporters that Ho was always willing to tell people about his opinions on architecture and art. "He always answered in details if you asked him," Yu said. Yu also took to Facebook to post his thesis, written in 2006, about the construction of the Hong Kong Arts Centre in remembrance of how the triangular design earned high praise from the international community. "The building itself is a piece of avant-garde art work with a theme of a triangle, which was shown in different locations in the building," Yu wrote. "This building has been honored by local and foreign awards, and it's seen as one of the most important buildings of Hong Kong in the 1970s." Chief Executive Carrie Lam Cheng Yuet-ngor expressed deep sorrow over Ho's passing. "A distinguished architect held in high regard in his sector, Dr Ho's name and works are world renowned," she said.